1. Heat the oil in the pan, add red chillies and fry for 2 mins. 2. Remove chillies and keep it aside. 3. In the same pan, add garlic pods and fry till it becomes light brown color. 4. Then add the tomato in full (no need to cut ) and fry till tomato bursts out. 5. Finally add salt and tamarind with the mixture. 6. Grind the mixture into a fine paste with little water. 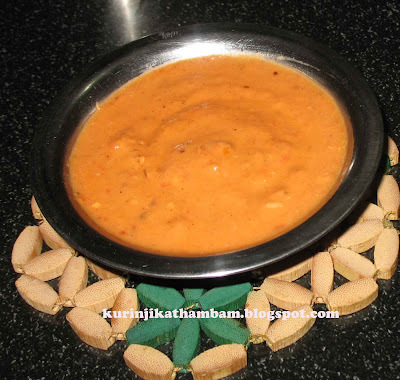 Garlic chutney goes well with Idly and Dosas. You can also try it with rice with coconut oil. nice colour n spicy chutney!! Super spicy chutney, would love to have with some crispy dosas..